Happy National Margarita Day! Or continue to celebrate Margarita WEEK! We're ready to celebrate with everyone's favorite tequila-based beverage. All over Miami, there are deals going down for today only on every kind of margarita you can think of. Or stay in and enjoy a DIY margarita with a recipe or two from some cool spots around town. Wherever you celebrate, make sure to drink responsibly! Miami's chic and Art-Deco glamorous themed restaurant, Cantina La 20 is celebrating ALL DAY with $10 margaritas. Typically, these refreshing beverages cost $20-$25, but for National Margarita Day you can enjoy them for half price. 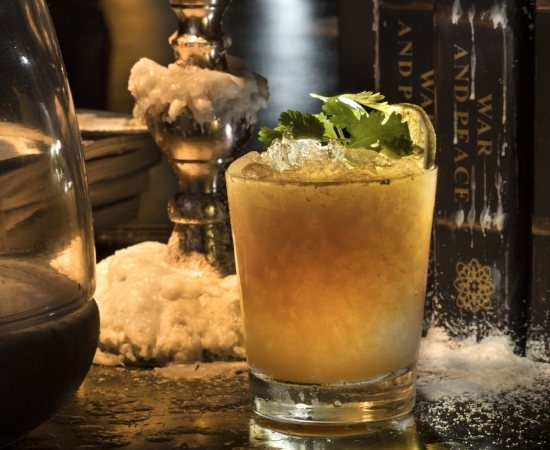 Select from flavors like coconut, passion fruit, tamarind, strawberry, spicy jalapeno and even a mezcal infused drink. If margarita lovers want to get a jump start on the celebration, Cantina La 20 features a weekly ladies night where all margaritas are FREE every Wednesday (only at the bar) from 5pm to 10pm. This special pricing will be available only at the bar seating — both upstairs and downstairs. Those who are looking to celebrate on the edge should visit the floor-to-ceiling black onyx bar with antiqued mirrors and geometric, pyramid-shaped black and gold chandelier. If guests want to be on the waterfront surrounded by garden green walls, they can visit the al fresco bar downstairs. The restaurant will be offering happy hour pricing all day on margaritas, and for their ladies night that evening, they will offer free margaritas for ladies from 7 p.m. – 10 p.m. The Miami River has a new Happy Hour destination, and Kiki on The River is celebrating National Margarita Day with $10 Casa Picante Margaritas on Thursday, February 22nd. Starting at 5:30PM, Kiki will be offering this sweet and spicy tequila cocktail to those wishing to celebrate the day on The River. Kiki on The River’s Casa Picante is made with Don Julio Blanco, Pamplemousse Liqueur, Guava, House Mango-Habanero, Lime Juice, and Cilantro. In honor of National Margarita Day, Brimstone Woodfire Grill offer half off off Don Julio Passion Fruit Margaritas and $7 Kush Jalapeno and Anejo Margaritas at both Brimstone Woodfire Grill in Pembroke Pines and Doral locations. 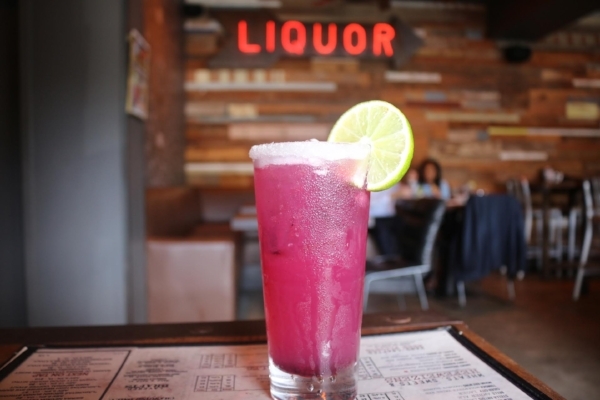 At Tap 42, all four locations (Boca Raton, Fort Lauderdale, Miami and Coral Gables) invite you to celebrate with their Blueberry Margarita. This signature cocktail features, Baron Tequila, wild blueberry preserves, lime juice, and simple syrup. It is served up in a collins glass half rimmed with sugar and garnished with a lime. To celebrate National Margarita Day, Better Days is having $6 margarita specials all night. You call your preferred tequila: Avión, Don Julio, Espolon, or Dobel; and your favorite Better Days bartender will handle the rest to make sure you celebrate with a proper margarita. Your tastebuds will be sure to thank you for this one. Made with Tequila Avíon, jalapeño, pineapple and basil and served on the rocks, this flavorful sip is calling your name.